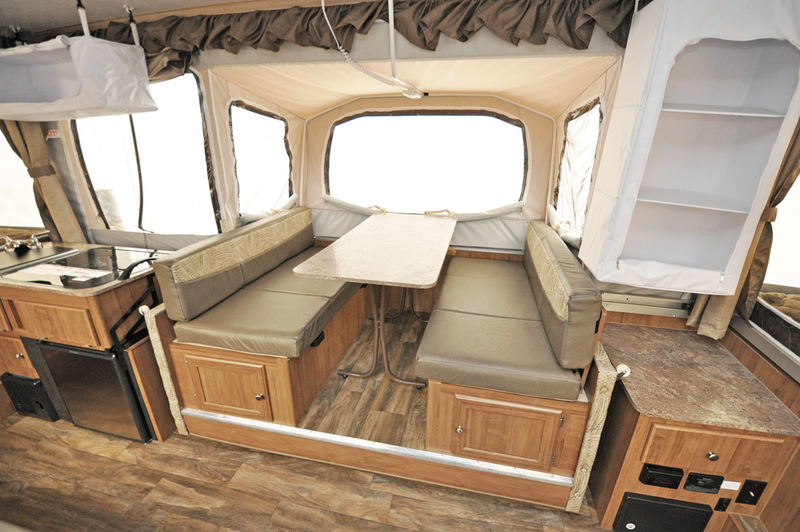 The only Classic with four beds and no interior cassette toilet/shower combo. 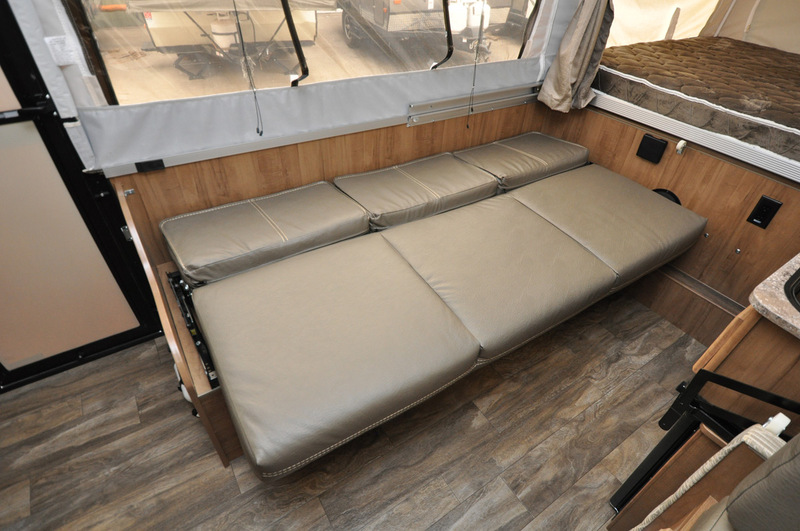 Four large beds and a full walkway from end to end--nice floor space! 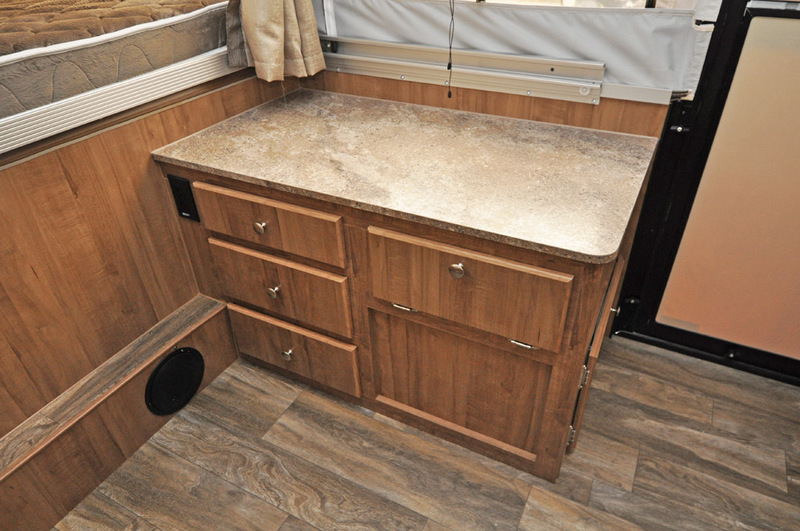 625D - The same layout but with an interior shower/cassette toilet in the front door-side corner. 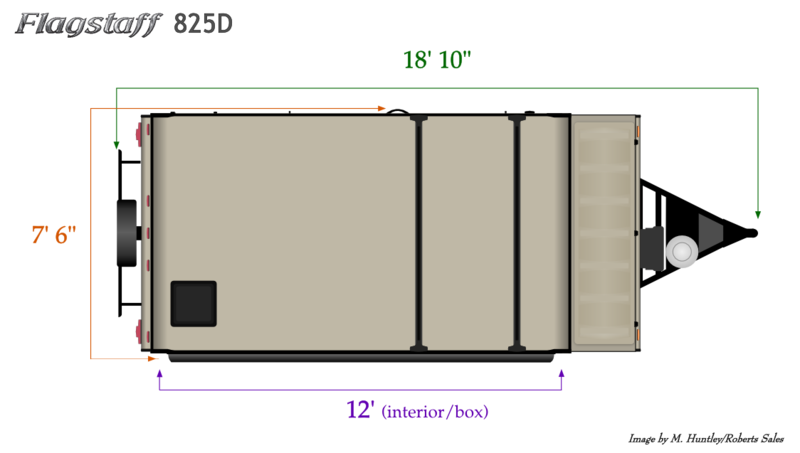 228D - Almost identical layout inside but in the MAC series (series comparison); no enclosed storage trunk. 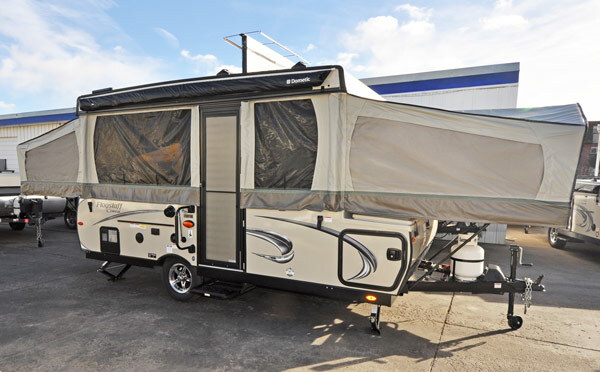 Please note: this is a "brochure page" intended to provide information about a particular model Flagstaff offers--it does not necessarily mean we have this model in stock. 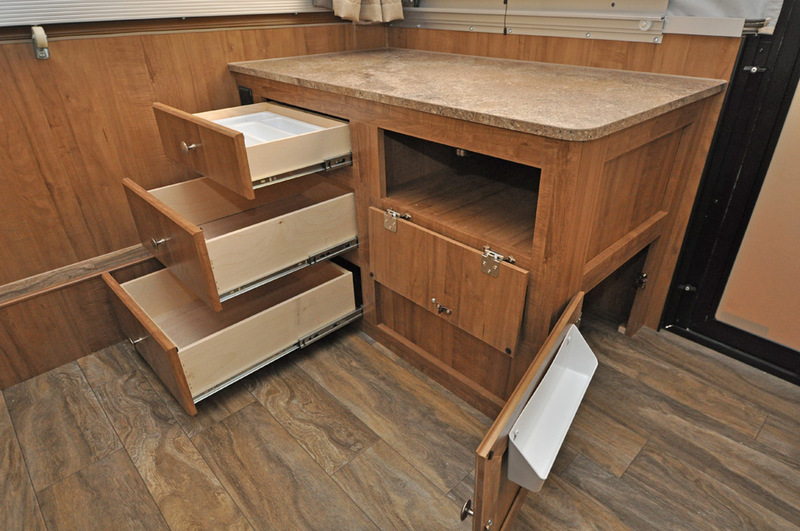 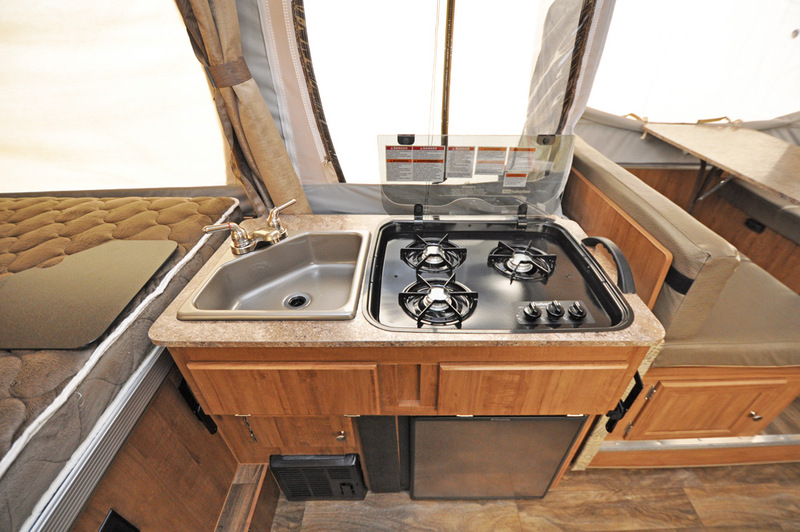 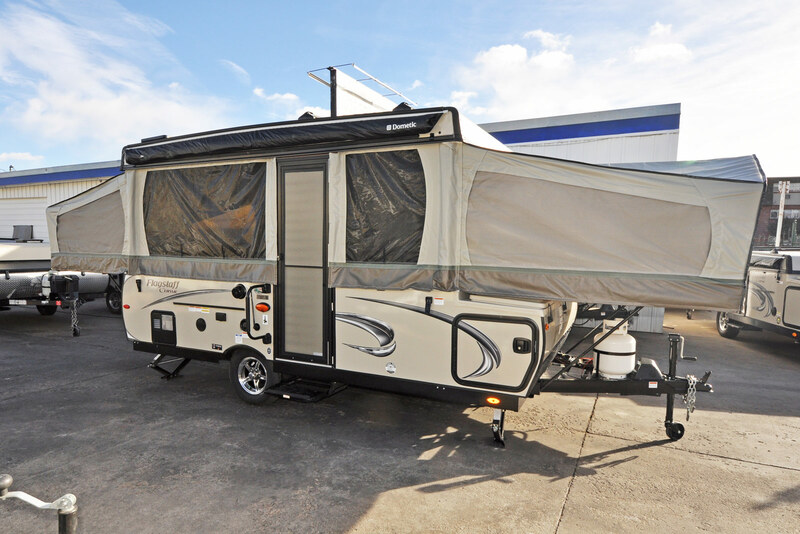 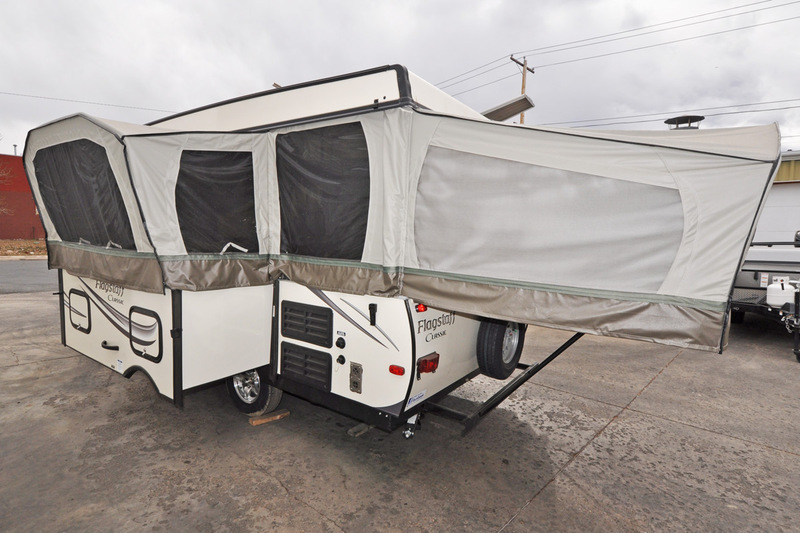 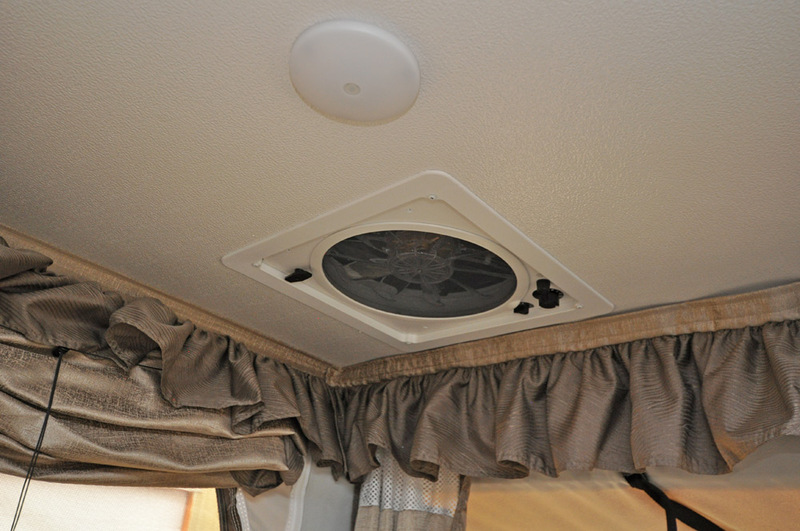 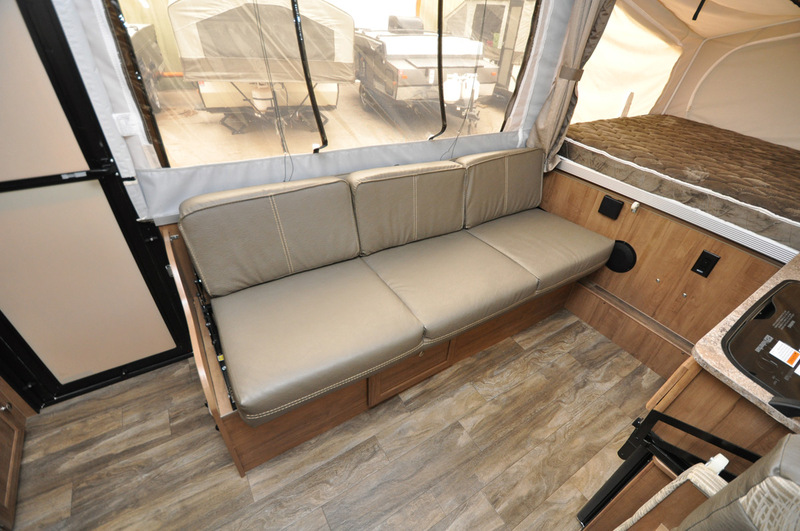 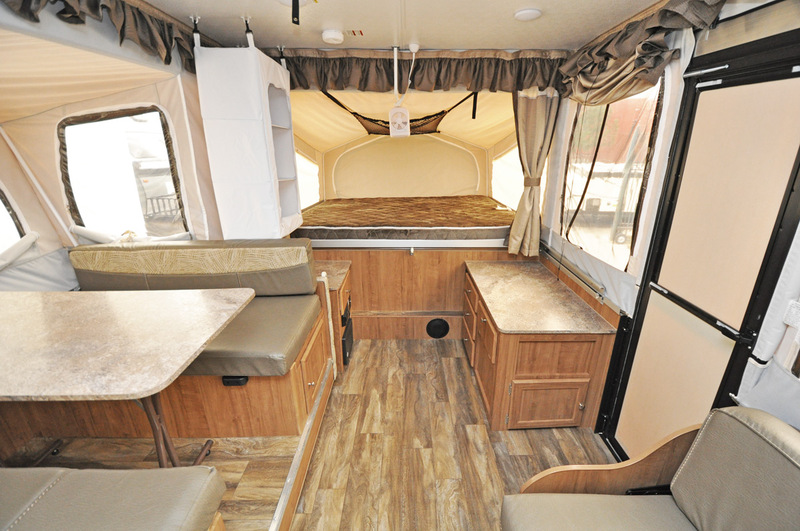 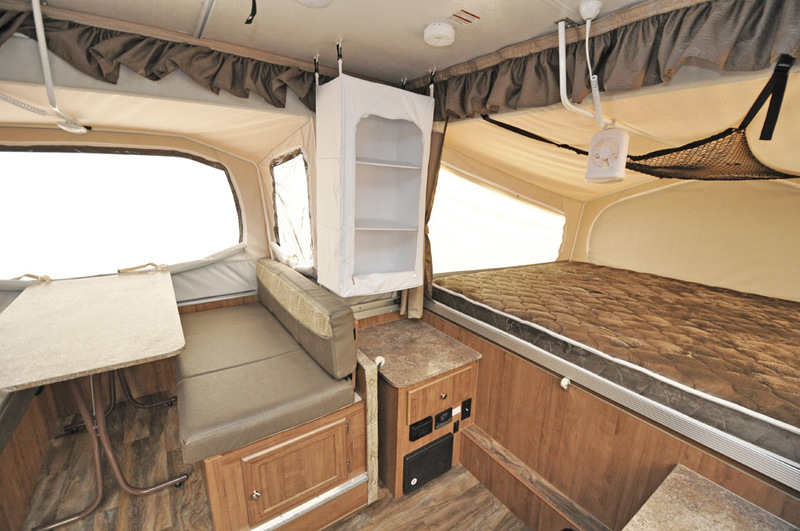 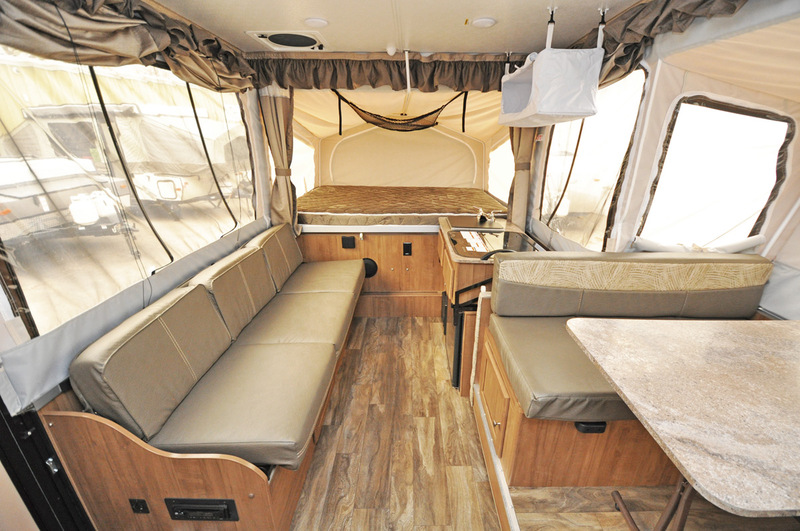 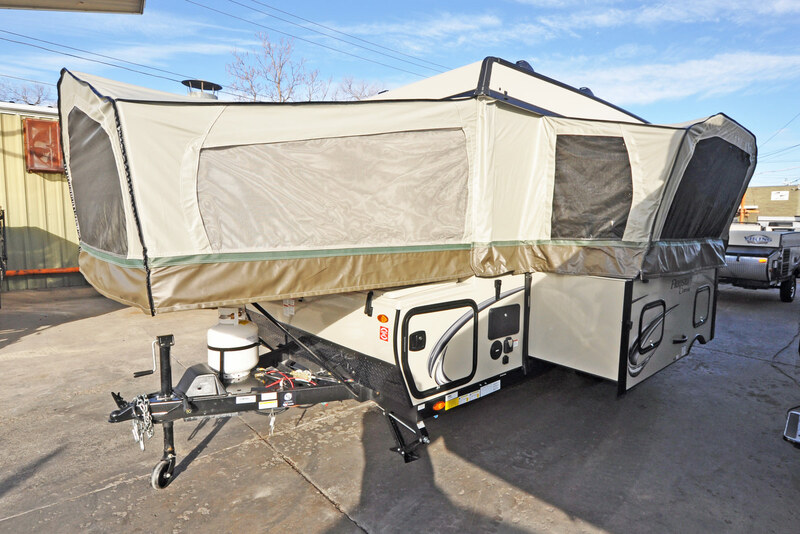 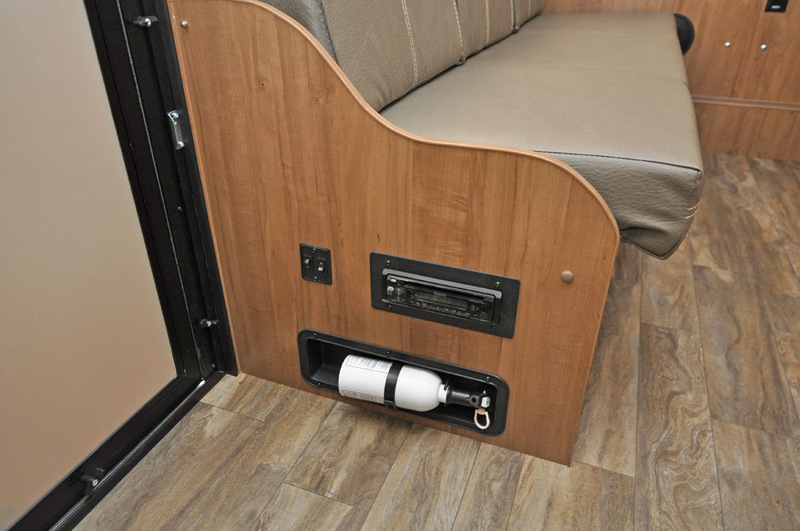 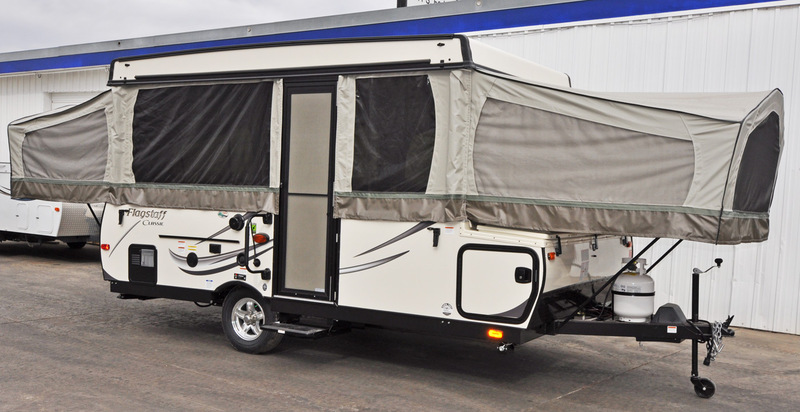 Any pictures on brochure pages represent a given model's design but do not necessarily depict an individual camper available for sale and may contain optional equipment. 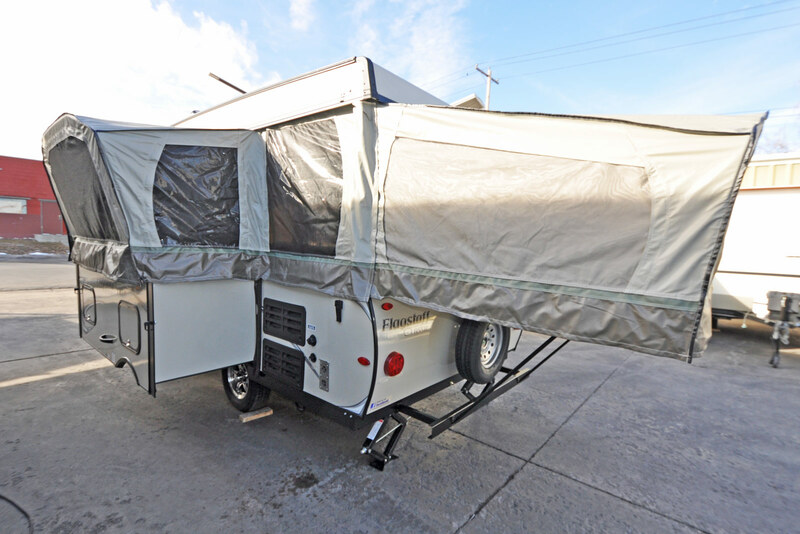 Please see "Features" (above) for included equipment and please check New Campers In Stock for our current inventory.Thank you! 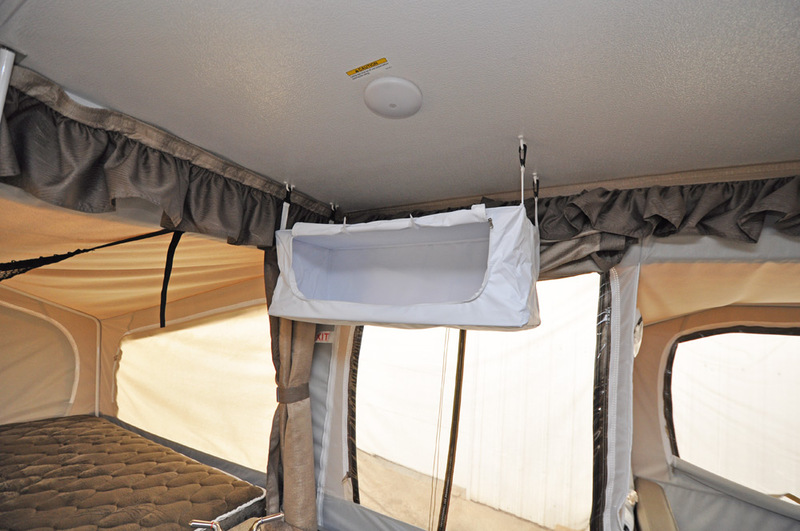 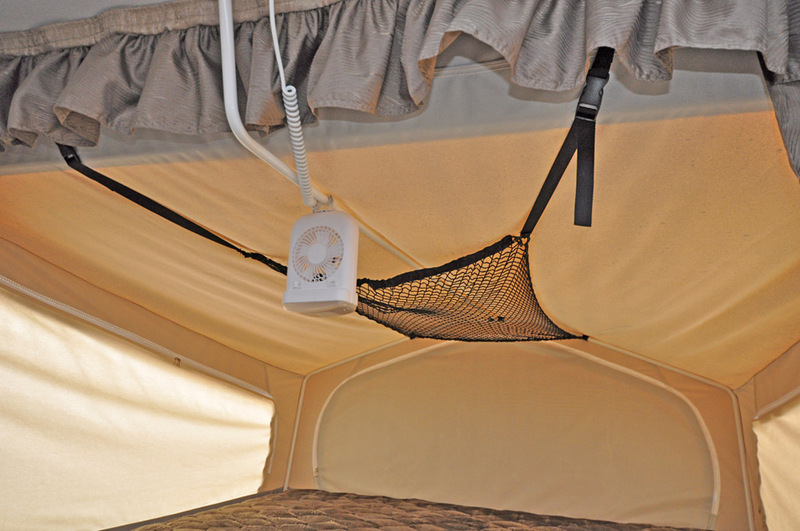 Weights and capacities are estimates and may vary based on how individual campers are outfitted. 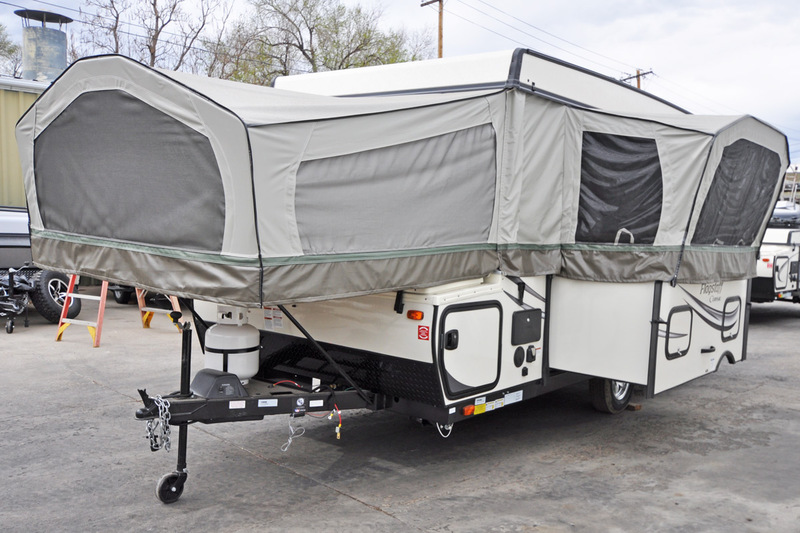 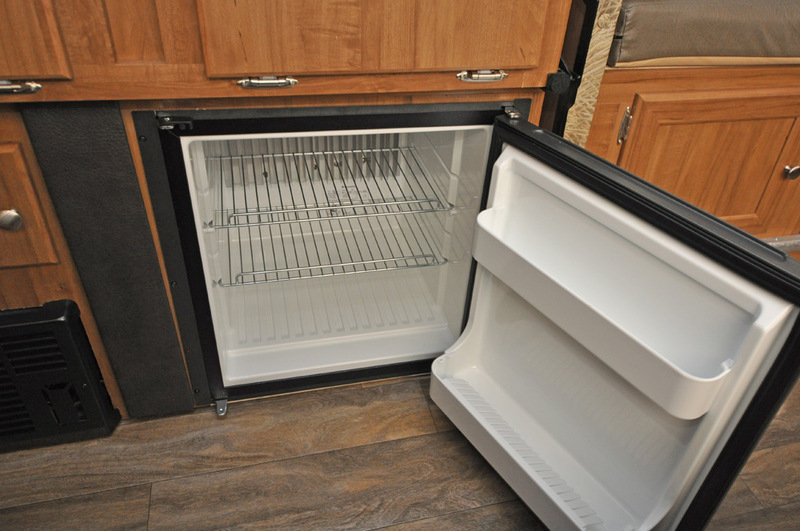 In Flagstaff's brochure they note: "The load capacity of your unit is designated by weight, not by volume, so you cannot necessarily use all available space when loading your unit."